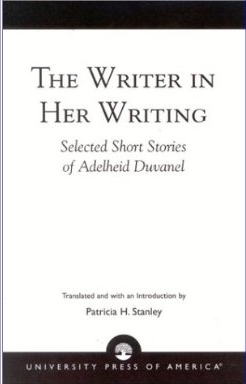 Adelheid Duvanel, The Writer in Her Writing: Selected Short Stories of Adelheid Duvanel, Trans. by Patricia H. Stanley, University Press Of America, 2002. "This translation of 22 short stories by the Swiss writer and artist Adelheid Duvanel gives the reader an introduction to the surreal, dreamlike quality of much of the writer's work. 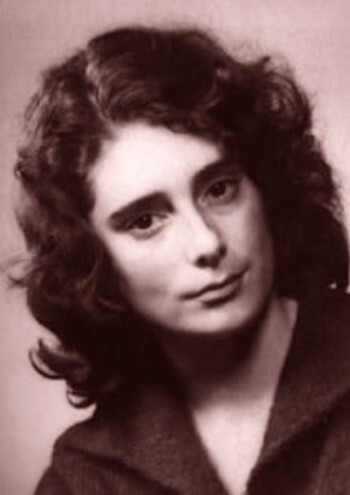 Before her death in 1996 at the age of sixty, she published ten books of short stories. Among her most striking literary methods is the use of dream sequences, daydreaming, and full-fledged dream narratives with eerie imagery reminiscent of the Expressionistic art of Max Ernst." "This collection of stories translated from the original German of the Swiss writer Adelheid Duvanel (1936-1996) is preceded by an introductory biographical essay that should help the reader to understand the connections between Duvanel's life and her subjects. The apparent lack of love in the lives of all her subjects can be traced back to Duvanel's extremely complex and chaotic life. The subjects of Duvanel's stories, which were mostly women or children, included single mothers without financial or emotional support from the biological father; elderly, lonely women; illegitimate children; men and women afraid of relationships. These short stories deal with one situation, presented with (sometimes surreal) imagery that seems to reside in the unconscious: yet an undercurrent of wry Neo-Expressionism. Instead of dialogue we read the thoughts and dreams of a subject, thanks to imagery reminiscent of the art of Max Ernst. In fact, several stories are nothing but the retelling of a dream." "Swiss writer and artist Adelheid Duvanel grew up in Pratteln and Liestal in the canton of Basel, where she spent her entire life. She has been compared with Swiss poet Regina Ullmann on account of the thematic threads of loneliness and depersonalization common to the work of both, and she has been associated even more especially with Swiss writer Robert Walser, with whom she shares many uncanny similarities, including the manner of her death. Following a stiflingly oppressive childhood, she graduated from an arts and crafts school and apprenticed as a textile designer. During various periods, she held miscellaneous clerical jobs and served as a fellow in an opinion research institute. As a literary artist, Duvanel was an intimist practicing a type of "twilight writing" with elements of magic realism, the gothic, the grotesque, and the conte cruel. She specialized in cryptic, very short narratives, in which distended time, exaggerated emotional states masked by the absence of emotional expression, and alogical, non-sequential plot progressions combine in contemporary fables of psychosocial displacement and acute alienation. On the temporal and mnemonic planes, Duvanel is Proustian; she is Kafkaesque on the psychological level; her metaphysic is one of melancholy and forlornity. She is Walserian by virtue of a calculated offhandedness and pervasive understatement tempered by a direct and honest perspective embodied by characters who might be described as clairvoyant misfits. The resulting blend of childlike wisdom, holy folly, and recognition by characters of their inability to alter circumstance or shed the roles they have been assigned by life lends Duvanel's work a flavor which falls somewhere between that of Carson McCullers and Christian Morgenstern. Born Adelheid Feigenwinter, to strict and unimaginative parents—a stuffy, stiff-necked magistrate father and a repressed and repressive Swiss Catholic mother—Duvanel felt unloved and closed off from society from earliest childhood. Hypersensitive and often bedridden with mysterious "illnesses," Duvanel developed attachments to household objects and articles of furniture, later referring to her bed as a "surrogate mother." She began to exhibit symptoms of "deprivation" and "restlessness" and became highly agitated when familiar domestic items were rearranged or discarded. Already as a child, Duvanel displayed a vague but general "dissatisfaction" with life and, by the time she reached puberty, she went mute and closeted herself in her room for days at a time. Psychotherapy and intermittent hospitalization ensued. She was characterized as "shy and withdrawn, uncomfortable in social settings" and "unresponsive." She drew avidly and wanted to train in the visual arts, but was instead enrolled in a Catholic boarding school. At seventeen, she was sent back to Basel unable to speak. She was subjected to electroshock therapy and insulin therapy in an effort to "cure" her aphasia, and underwent further hospital stays. Adelheid had started writing stories at the age of seven. In the Shadow of the Madhouse, her first published effort, appeared when she was nineteen. Shortly thereafter she contributed to the newspaper Basel Messenger under the pseudonym Judith January. Over the course of her career, she dabbled with alternatives, but unswervingly favored the short story form. Her spare, stripped-down narratives are evocative and metaphor-rich and can be savored line by line, like poetry. Sullen, sardonic, simultaneously wistful and gloomy, Duvanel's prose miniatures are twisted fairytales featuring pixie depressives nurturing secret griefs. Like Heinrich Mann's Three-Minute Novel, Duvanel's micro-texts comprise highly condensed psychobiographies chronicling the dismal lives of the futile, the unwanted, the barricaded, the disappointed. Ranging from the quaintly pathetic to the obdurately bizarre, the eccentric losers and semi-autistic outsiders populating this fiction inhabit a spiritually stagnant netherworld of loneliness and lovelessness, silence and solitude. Duvanel delineates their poisoned existences with an aplomb simultaneously coy and gut-wrenching so that it’s difficult to tell whether they are genuinely naïve or artfully contrived. Extra-lucid snapshots of skulking marginals the stars in whose eyes have been replaced by kryptonite fragments, Duvanel’s grim madrigals may be considered as modern mutations of traditional Scandic-Germanic marchen. One critic has likened reading a Duvanel story to witnessing a "slow fall from a window." Another notes that the typical Duvanel character has a "soul that is too big for this world" and, laboring against the insurmountable clutch of circumstance, continues to maneuver "on fatally unstable terrain lulled by the false sense of security of a sleepwalker." Vaguely disturbing, like portraits of crying clowns, Duvanel's psychically stunted and emotionally crippled characters seem unaware of their own vulnerability, and are stuck in Sisyphean ruts of arrested development. Duvanel had a special gift for suggesting personality traits with a single, incisive line. She often painted entire word-portraits with strings of such verbal razor strokes, chiseling into high relief paper-thin but densely meaty cross-sections of the fictitious entities she profiled. Like Swiss cheese, these psychological tissue samples are riddled with holes for the reader to fill, and have the tenuity and elasticity of dream. In these strangely desolate vignettes, there is a pervasive mood of dreary irreality and cheerless reverie, motives are irrelevant, and absences are felt much more than presences. Occasionally, the ptomaine-tainted atmosphere is punctuated by pained or pensive monologues but, for the most part, Duvanel's hermetic fables are devoid of dialog. Perspicacious to a fault while, at the same time, constitutionally taciturn, shrinking violet Duvanel, according to one commentator, relied on silence to "keep her in a kind of protective custody" which "shielded her from betraying her shameful fear that she was a nonperson, belonging nowhere." Sadly for Duvanel if happily for literature, the damage and warpage she suffered in her own life, and the diffidence and resignation with which she responded, translated into a marvelous literary art made from the stuff of dead relationships, foiled ambitions, broken dreams, mangled aspirations and tepid hopes soured, curdled and turned to scorn. 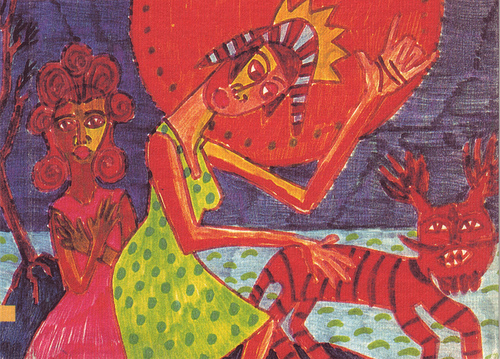 With wry cynicism, Duvanel limned the lives of her edge-figures in colors occupying a place in the emotional spectrum somewhere between pathos and desperation. The microscopic observation to which Duvanel subjects her characters further heightens the impact of her highly concentrated narrative distillates by magnifying molehills into mountains. Human wreckage who can find no haven from the isolation and fragmentation of their splintered existences, Duvanel’s "lost characters follow zigzag movements, which never lead to a way out" of their personal hells and psychic labyrinths. They long to reach something, but they exceed what they can grasp. Duvanel knew what it is to feel misunderstood, to feel lost. She knew the ache of heartbreak and hopelessness, the involuntary nostalgia for something never known, the catalog of psychic insults apt to trigger the defense mechanism of dissociative detachment and its correlative, the craving for social integration. Duvanel knew all too well the somber brittleness and the embittered fragility of all those traumatized by the mere fact of living. She oozed a glandular sympathy from her inmost core for the inarticulate, the "out of place," for those robbed of dignity, those swindled by love. In part, Duvanel used literary creation as a mode of healing. She strove to purge her own demons but also, by cultivating a garden of effigies in the rarefied realm of artistic imagination, to offer sanctuary to those who might otherwise go unnoticed, and prevent them from being perpetually consigned to a limbo of suspended animation, ghostly figures who slip between the cracks of the dominant societal edifice. Flawed, frayed, famished for affection, Duvanel’s accursed characters, condemned to exist under "the sign of distress," cry for their author to confer on them a "second innocence" of which they remain forever bereft. Once the angel appeared to him in a dream, shook its curls and said Arthur had correctly suspected he was the angel who guarded the tents of people. At this Arthur asked him whether he also stood before his tent, but the angel replied with a clicking of his tongue that Arthur had no tent, he spent his nights under an open sky on the bare earth caressed by neither shrub nor woman. He continued: "You are like an apple seed lying on a frozen blanket of snow. A hungry bird will find you." Through the open balcony door I can see a yellow plastic lounge chair next to the banister. Wotanek, seated at the table nearby, is using the little finger of his left hand to massage his broken incisor with such fervor that you would think he anticipates some effect from this massage. I've known Wotanek for a long time; his hunched-over posture is typical for him. When he was a little kid no one wanted to play with him, because he always dropped the ball. Later, he acquired the name "Dopey Motion" from his wife Helga, a true ice princess. On their wedding day she kissed him on the tip of his nose, and it immediately froze. I've known Helga only a short time, so I don't know anything about her earlier life. She is a tall woman with hairy legs and always wears white gym shoes. As a child Wotanek rebelled with a persistence that was astonishing. His rejection of the playing rules of our world was so effective that even his facial muscles gave up. In time he lived walled up, unrecognized, entirely in concealment. I suspect that this type of existence developed from an extraordinary sensitivity. He was an orphan and had never known his father, an apothecary, a man who, in his free time, filled lengthy strips of paper with attempts to solve a mathematical problem. Finally, taking the failure of his efforts to heart, he committed suicide. The mother had died some time before out of sorrow over this man. Because Wotanek was not able to mourn the death of his parents he secretly grieved when he saw bare branches that the wind swung about in front of the sky like pieces of a torn-up net unable to catch anything. Was there any prey besides the little Wotanek? Even the everlasting melancholy of the orphanage cat upset him, and there was no one with whom he would share his spiritual pain. The boy's seemingly stony composure irritated his teachers. He understood their non-comprehension but regarded them blissfully as his enemies and secretly hated them. Sometimes, however, this single joy abandoned him; then he believed he was a wart that would have to be cauterized. When Helga, the young teacher, came to the orphanage, Wotanek had already created a dear little internal tumult that bit him to death, dug a hole for his corpse, and out of despair over his death blasted the nights with its howling. Wotanek was ripe for love, almost happy, and he stayed that way when Helga married him on the day he came of age. Of course, she lost her position as teacher, but since she was industrious she worked in various professions to the satisfaction of her supervisors. She spoiled and humbled Wotanek, who became sickly now and in a few years was nothing more than a beautiful skeleton that scrunched down in an armchair reading. Whenever Helga strode through the apartment after work she hummed, "Up, you young hiker," which did not seem to irritate Wotanek. Now he lived, so to speak, behind two walls: the wall of his face and the covers of his books. And he had even concealed himself from himself, with the result that he did not confess to himself that his wife—whom he had, with youthful exaltation, mistaken for the tumult -- was a disappointment. He became mute, did not even hold conversations with himself. Walking quietly, I move closer to Wotanek in the room at the spa where he is spending the last days of his life with the messenger of death after an operation. He is dealing patiently with the pain. On the other side of the balcony I see meadows on which tumors of snow rise like the remains of a sickness, and above a precipice—its base overgrown with holly—a coniferous tree stretches to touch the uncommunicative sky. As the lake far down below breathes, its scaly skin moves. I bend over Wotanek's short, lead-colored hair and whisper: "Wotanek, it is I, your tumult..." Slowly he turns his stiff face with the nose minus its tip toward me. His gaze prepared only for the written word, he spells me with some effort; then his eyes open wide. I place my hands on his ears, bend low over him and bite into his throat. Now I will dig a grave and scream.